By clicking submit, you'll be automatically subscribed to our newsletter. You may have unclaimed property or found money that you knew nothing about. Each state collects unclaimed money from insurance policies, bank accounts, and more. They store it up, but don't notify you. Run an unclaimed property search to discover if you have lost money you can claim today. We want to help you find every unclaimed federal penny that the government owes you. Millions of dollars in unclaimed federal money is turned over annually to each State’s unclaimed property division by businesses and organizations who cannot locate the owners, beneficiaries or heirs. This unclaimed money database includes bank accounts, stock certificates, checks, wages, refunds, and death benefits to name a few. There is approximately 45 to 50 Billion in unclaimed property, and this number is growing substantially every year. In order to help you claim what's rightfully yours, our mission at UnclaimedPropertySearch.org is to publish accurate information and a list of free resources that point you in the right direction during your unclaimed property search. When you click start in the form above, you will be directed to search tips, then to the links to your state's unclaimed property search tool. By submitting the form, you enroll in our six month reminder list so you can continue searching for unclaimed property if your lost money isn't found right away. Every state has its own unclaimed property statutes and handles unclaimed money slightly differently. Regardless of what state office handles the unclaimed property database, each one has a specific section for unclaimed property Whether it involves an inheritance, abandoned accounts or money that's owed to you by someone else. You can access information about unclaimed property on every state's official website. They may not have to notify you of your money or property, but they do have to provide you access to it once you've searched or made an unclaimed property request. Some states' search functions are a bit finicky, so it’s important that you try a number of different search variations. Try each name you have ever legally used and/or business names that have belonged to you. Additionally, you'll want to search for unclaimed property every state you've lived in, even if it was only for a short period of time. I found over $9,340.00 using the search methods outlined in UnclaimedPropertySearch.org. Without using the methods suggested in this website, I never would have found it. This was a life-changing amount of money at the time and it helped me out tremendously! I ran a search on myself from UnclaimedPropertySearch.org. 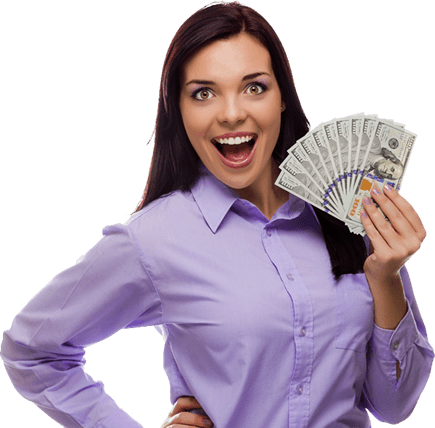 It was amazingly easy, and I did discover I had some money coming to me. While it wasn't all that much money, I plan to search again for my parents and see what they have.